We will also be gathering materials to make a traditional twined basket. 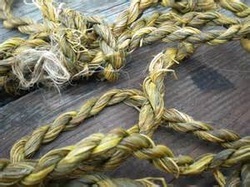 *Harvest Yucca leaves and learn how to process them to make cordage. * Harvest Juncus and learn how to make a traditional twined basket.